The goal the Palestinians have in mind is to see Israel gone. All of it. Mahmoud Abbas believes he can achieve this goal by waging a diplomatic war against Israel in the international community -- one aimed at delegitimizing and demonizing Israel and Jews. The Palestinian Authority (PA) says it wants the international community to exert pressure on Israel to "halt violations against the Palestinians and international law." The demand was relayed to members of a delegation from the European Parliament who met on October 8 in Ramallah with PA Prime Minister Rami Hamdallah. At the meeting, Hamdallah also renewed the PA's call for providing "international protection" for the Palestinians. Hamdallah's appeal to the European Parliament representatives should be seen in the context of the PA leadership's ongoing campaign of lies and incitement against Israel. The appeal also smacks of hypocrisy and deceit. Hamdallah is apparently referring to Israel's defensive measures along the border between the Gaza Strip, where thousands of Hamas supporters have been staging violent demonstrations since March 2018. As part of the Hamas-orchestrated protests, which are sometimes called the "March of Return," Palestinians have been infiltrating the border with Israel and hurling firebombs and explosive devices at Israeli soldiers. They have also been launching arson kites and booby-trapped balloons towards Israeli communities near the border with the Gaza Strip. Hamdallah and his boss, PA President Mahmoud Abbas, believe that Israel has no right to defend itself against the campaign of terrorism waged by Hamas and other Palestinian terror groups in the Gaza Strip. In their eyes, it is fine for Palestinians to throw explosive devices and firebombs at soldiers, but it is completely unacceptable for the soldiers to defend themselves. According to the twisted logic of the Palestinian leaders, it all started when Israel fired back. Those who sent the Palestinians to clash with the Israeli soldiers along the border with the Gaza Strip are the only ones who bear responsibility for killing more than 150 Palestinians and injuring thousands of others. The Hamas-engineered "March of Return" is nothing but a declaration of war on Israel. It is another phase in the Palestinian campaign of terrorism to force Israel to its knees. When suicide bombings and rockets do not achieve their goal of forcing Israel to submit, the Palestinians resort to incendiary kites and balloons, and to stabbings and shootings to achieve their goal. The goal the Palestinians have in mind is to see Israel gone. All of it. Abbas believes he can achieve this goal by waging a diplomatic war against Israel in the international community -- one that is aimed at delegitimizing and demonizing Israel and Jews. His rivals in Hamas believe that Israel could and should be destroyed through terrorism and other acts of violence. The PA prime minister's strategy of crying foul against Israel is part of a long-standing Palestinian tradition of rallying the world against Israel. In fact, it is in keeping with the famous Arab saying: "He hit me and cried, he raced me to complain." This saying reflects the state of mind of the Palestinian leaders, according to which the perpetrator pretends to be the victim. However, this is more than just pretending to be the victim. The approach of the Palestinian leaders is not only fraudulent, but also extraordinarily hypocritical. While Hamdallah was complaining about Israeli "violations," his security forces in the West Bank were continuing their daily assaults on public freedoms, including freedom of the media. Just as the meeting was taking place in Ramallah, a Palestinian group published a report about large-scale human rights violations committed by Hamdallah's and Abbas's various security forces. As the meeting was underway, Palestinian Authority security forces arrested yet another Palestinian journalist in the city of Hebron: Amer Abu Arafeh. The journalist, who was released 24 hours later, said his Palestinian interrogators tried to force him to give them the password to his Facebook page. The European Parliament delegation were not made privy to a report about this latest assault on the Palestinian media during their meeting with the PA prime minister. This is not something that concerns them or the EU because the journalist was not targeted by Israel. Why should they open their mouths about arrest of a Palestinian journalist if Israel is not involved? Nor did the European Parliament delegation hear about the report published by a group called The Committee of Families of Political Prisoners in the West Bank. The committee consists of families and relatives of Palestinians who are regularly and systematically targeted by the PA security forces, largely because of their affiliation with Palestinian opposition groups, including Hamas, or for openly criticizing Palestinian leaders. The report, which was made public while the EU officials were taking in Hamdallah's accusations against Israel, charges the PA with intensifying its assaults on public freedoms in the West Bank. This is not the kind of account that Hamdallah would be interested in sharing with his European guests. In its report, the committee says it has documented 685 assaults by the Palestinian Authority security forces in the West Bank on public freedoms just during the month of September. The assaults include, among other things, massive arbitrary arrests and detentions, summons' for interrogation, raids on homes and confiscation of property. The report pointed out that this marked a dramatic increase in human rights violations compared with previous months. 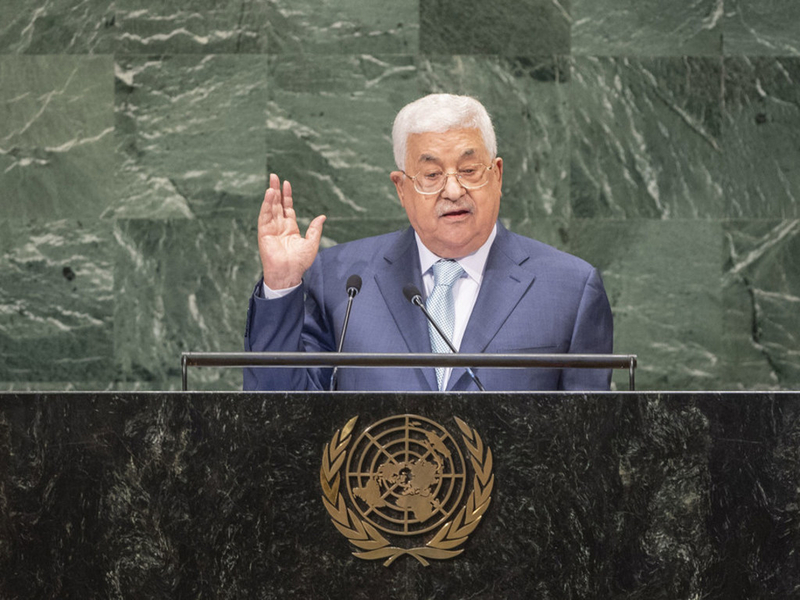 According to the report, the PA security forces arrested more than 100 Palestinians in the days before Abbas delivered his speech at the UN General Assembly on September 27. Abbas devoted large parts of his speech to condemning Israel, which he accused of "suffocating" the Palestinians and "undermining our serious efforts to build the institutions of our cherished state." Abbas, however, refrained from mentioning to the UN General Assembly that while he was speaking, his security forces were waging a massive crackdown on his critics and opponents in the West Bank. As far as Abbas is concerned, this is not something that the world should know about. The evil he and others see is only on the Israeli side. Back to the report, which neither Abbas nor his prime minister cares to share with the world. According to this report, among those arrested or detained during September are 37 university students, eight school teachers, seven journalists, 55 university faculty members and lecturers, five engineers and 23 merchants. The report also revealed that four Palestinian detainees have gone on hunger strikes in Palestinian prison to protest their illegal incarceration. So, we are again witnessing an act of fraud and deception on the part of Abbas and his senior officials in Ramallah. Palestinian leaders have convinced themselves that they can continue to spread their lies to the world while hiding the truth about what is happening within their repressive and corrupt regime in the West Bank. They believe that, because of the world's silence, they can continue to lie to everyone all the time. The question, again, remains whether the international community will ever wake up to realize that Palestinian leaders are playing them for fools. The European Parliament delegation that visited Ramallah is a good test case: What message will its members convey back at home: the truth about the ruthless and repressive PA, or the lies that were spoon-fed to them by Abbas and his friends? The pagan Roman-named 'Palestinian' Muslim Arabs, who perceive themselves to be the "true" heirs of the Biblical Israelites backed by the Islamic Arab World, Iran and Pakistan with their supremacist and supercessionist Islamic theology have perniciously lied consistently to the Christian European Nations of Great Britain, France, Germany, Austria, Switzerland, Spain and Portugal, Italy and Greece with their false narratives for the past 70 years since 1948. The Christian European Nations have either been deceived or they are prejudiced by their own anti-Semitism and bigotry. "What message will [the EP delegation] members convey back at home ..."
the EU nazis who visited ramallah will report back that all is well with the palestinians, given the tremendous pressure put upon them by the evil israelis. the left does not care for israel, because its leaders are using the pious muslims among the muslim "refugees" whom they have imported, and continue to import, as a proxy army to undermine society. all eurabian leaders, whether national or EU leaders, cover for the attacks of pious muslims at every opportunity; the only reason that they would do this is not that they are stupid - they *definitely* are not - but rather, that they are traitors who want society to collapse. once that happens, they can declare martial law to "protect" the citizenry (since every government and almost all officials are leftist) and instantiate a people's "republic." i will continue to yell out here in the wilderness, but society is peopled, both in eurabia and in the u.s. (and also many other dying free nations) by a majority of at least nominal leftists, who were "educated" into their leftist beliefs, and prevented by liars from ever accepting any contradictory evidence. society will collapse, and most nations will devolve into dying socialist dystopias, which pious muslims will pick off one-by-one. the future is muslim, and history, music, and science will die within a couple of generations at most. even though the writing is on the wall, i will go down fighting. i fully expect to end my life with my own murder at the hands of either hard-core leftists or pious muslims; hopefully, i can take a few of them with me when that time comes. So when do we get the article on how Europeans lie to the rest of the world? I am not defending Palestinian lives or their lies. I am speaking on how ALL governments, with the aid of the MSM spread their own lies to a basically stupid human population around the world. Lord, when oh when will truth prevail over this endless litany of lies from all sides? 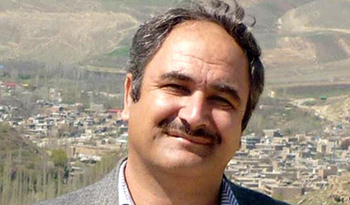 Promoters of jihad against the USA have been killed by missiles and other means. Now is the time for Israel to follow that example and target Abbas and the leaders of Hamas and of Islamic Jihad. No time to lose. What is the best place for a Palestinian terrorist to be in? What is the worst place fro a Palestinian terrorist to be in? Under the law to which Muslims submit called Al Shari'iah it is mandatory to lie, cheat and mislead non Muslims. It is called Al Taqiyya. This is why non Muslims should only take notice of what Muslims do and not what they say. Non Muslims should only have mutually beneficial dealings with Muslims and to respond decisively to infringements. It is not a question of whether the west will wake up to these abuses by the PA against their citizens. The real question is will the PA ever control its leadership, so that they treat their citizenry in a fair and humane manner. My belief is that the current leadership and their immediate successors will not and the persecution of the innocent Arab citizens will continue for the foreseeable future. The author is being too generous to the EU, the UN and the other international organizations with which the PA interfaces by implying that they are kept ignorant of the malevolent nature of the PA. On the contrary, these organizations are well aware of the PA's true face, but (as the author acknowledges), because the cited civil rights violations are not being perpetrated by Jews, they simply don't care. In reality, this disinterest encourages the PA to abuse its populace, making these organizations enablers and accomplices to repression -- and, consequently, every bit as malevolent as is the PA. The International/European community knows it's being played for a fool but they play along for it suits their agenda! It's called: igniting another Holocaust without dirtying ones hands and this is where the Palestinians come along....for they are the 'real fools in this sinister international game plan. Perhaps should change the title as "How Europeans believe Palestinian Lies"
Palestinians have the most rapid rate of population growth outside Africa. Couple this with a static territory, and an economy based upon foreign aid dedicated almost entirely to guerrilla warfare, and you get horrific living conditions in a degraded environment. It is predicted Gaza will be uninhabitable by 2020 from overcrowding and environmental ruin. That may be optimistic. The proposed solution is that the many millions of Palestinians born since 1948 should 'return' to Israel and 'reclaim' it, and all infrastructure built since 1948, intact. What to do with Israel's existing Jewish population is unsettled. Palestinian suggestions involve some sort of genocide or mass expulsion. The brutal, unspoken truth is that any group that makes the choices the Palestinians have made will suffer identical consequences, with or without Israel. They are the consequences of rapid population growth and flawed political and economic choices in an environment where annihilating your neighbor and occupying their territory is not an option. The situation would be the same, and probably worse, if the Palestinians had other militarily strong neighbors with a border fence. Israel, after all, provides the Palestinians with water and electricity but cannot keep up with their rapid population growth. So the Palestinians accuse Israel of 'cutting off' their water and electricity. No word about Egypt, who also maintains a border fence but provides them with nothing. The Palestinians are selective and clever in their hatred. Unfortunately for Israel, the Palestinians have only to point to the squalor in which they live and blame it on the Jewish state to elicit sympathy from naive or unscrupulous Western Leftist politicians. Squalor and misery always elicits sympathy in the West. The Palestinian's self inflicted misery is manipulated by their leadership as a propaganda front in their endless and unwinnable military conflict with Israel. Unfortunately, the story of Palestinian misery as one of idiotic Palestinian leadership for seventy years is not a story that plays well in the UN. It is not a unique story. Facts are sometimes ugly things that go against our tender feelings. In an age where only tender feelings matter, and demographics have gone critical mass, Israel has its work cut out for it. When will the Israeli government wake up to countering the Arab propaganda and start seriously exposing their lies? Please stay safe. As I type the radio is talking about what happens to journalists in Muslim countries and at their behest elsewhere. "The question, again, remains whether the international community will ever wake up to realize that Palestinian leaders are playing them for fools." They are fools. Most of them have come to believe their own pro-Arab, pro-Muslim, anti-Israel propaganda that they use to justify their own actions -- and it's a natural progression to accept the Arab propaganda that generally agrees with it. They aren't interested in anything that would undermine the position they've already taken, except to suppress it. Unfortunately, the ultra-left lunatics see just what they want to see. They feel that their opinion is the only one that counts, whether or not it's complete lies. The twisted delusional reality of the lefties is simply amazingly stupid and I honestly think that they themselves don't really know what they are demonstrating about. No question whatsoever that the Palestinian leadership use their own people to force their views and hatred towards Israel. It's their life's work, they'll do anything to discredit the Jews. The main reason is that the Jews are so much stronger and better organised, and they are willing to defend their people and not use them as pawns as the Palestinians do. As for lying, all Muslims lie! The whole religion is based on lies and deceit. Promising a place in Paradise for all those that martyr themselves in the name of Islam. What a load of nonsense to teach young girls and boys, when they won't ever put themselves in harms way. The leadership just want the money, they have no interest in peace, they have this stupid idea that Islam is a superior religion. In reality it is simply a death cult with no respect for human life and a fear and hatred of women! Israel's greatest miscalculation was to rule over vanquished embittered hope-denied Palestinians with a necessary but cruel security iron fist instead of expelling them and annexing the territories won in 1973. Both sides are now poisoned and compromised. Europe of deluded, fact-ignoring wishful thinking refuses to see reality. Israel's Jews understand existentially that their survival literally depends on never losing, and unflinching, hard-headed uncompromising ruthlessness - the consistent Middle East recipe to rule over Muslims used (in concert with mass execution, intimidation and torture) by every self-respecting surviving successful Arab dictator. Without exception. Europe on its way to national suicide, choosing exponentially growing, West-rejecting, female apartheid-imposing incompatibles over its own people, will never admit the ugly facts piling up in front of their noses like corpses let alone understand Jewish Israel's reality amidst brutal murderous regressive, unevolved enemies who only want Israel gone and who would massacre every Jew given the chance. Facts won't win over appeasement and suicidal idiocy. Israel needs to do what it needs to do without explanation or seeking approval. I absolutely concur with and endorse your brilliant, discerning and insightful comments the same as I do with all the other excellent comments on this thread relating to the subject of the interminable Arab - Israel Levantine conflict. Just one correction : All the ancestral, biblical and historical territories of Samaria and Judea including East Jerusalem were reconquered, liberated and incorporated as part of the renascent Jewish Nation State of Israel in the 'Six Days War' of June 1967, not in the 'Yom Kippur' War of October 1973.